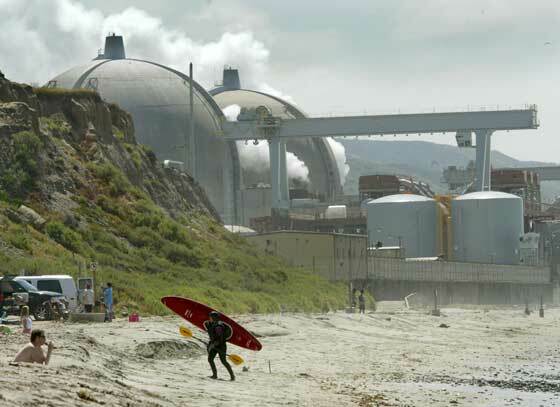 Often when citizen scientists view an image, they want context. Where is this? Am I really seeing kelp, or is this sand or mudflats? Fortunately, we have you covered. In the video below, I show you how you can view the metadata about each individual image, including how to view the area pictures in Google Maps. 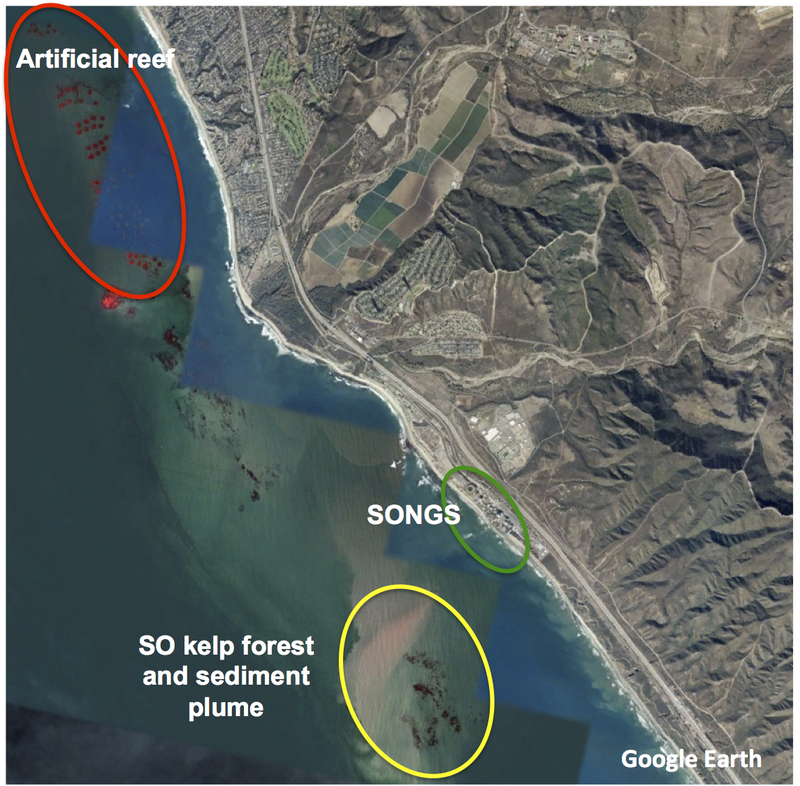 Now, the map on Google Maps isn’t going to be from the same time as the Landsat image, so, there may or may not be kelp in the same places. But you can at least get a better high resolution view of the area to make decisions about your classifications if you want it. 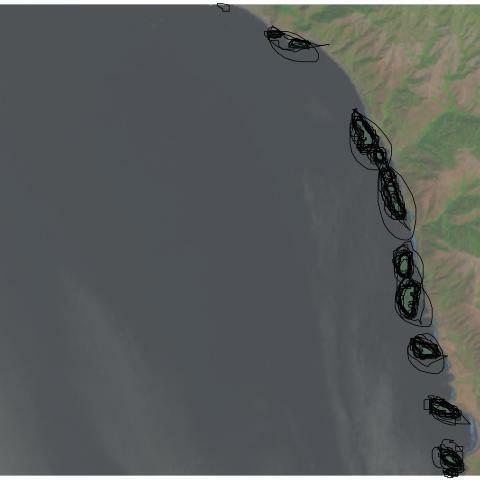 One question that has come up a few times with our consensus classifications is, does the level really matter when it comes to looking at change in kelp forests over the long-term? While our data isn’t quite up to looking at large-scale timeseries yet (we’re still digging through a few thorny methodological issues), I grabbed the complete dataset we have for the Landsat scene around Los Angeles from work Isaac is doing and decided to take a look. Note, this is totally raw and I haven’t done any quality control checking on it, but the lessons are so clear I wanted to share them with you, our citizen scientists. 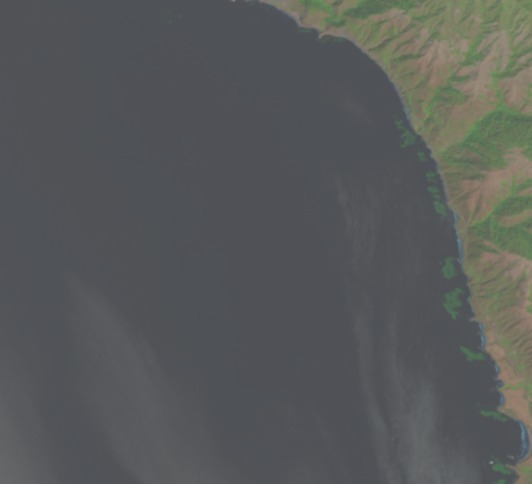 After aggregating to quarterly data and then selecting the scene that had the highest kelp abundance for that quarter (i.e., probably the fewest clouds obscuring the view), we can see a few things. First, yeah, 1 classifier along is never good. 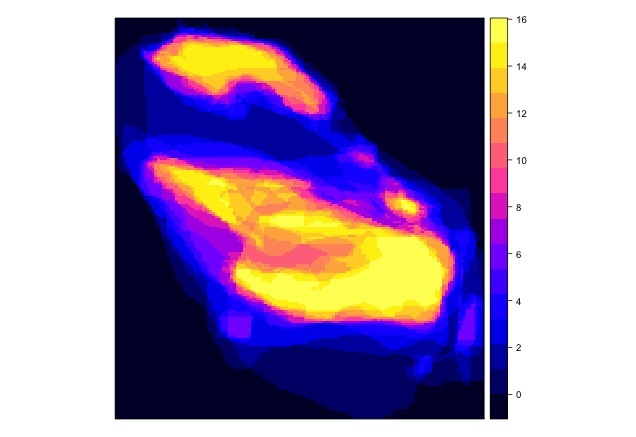 Note, I haven’t transformed the data to area covered, instead we’re just going with number of pixels (1 pixel = 30 x 30m). But, wow, we need consensus! But what if we impose a more conservative filter? Say, a 4-10 user agreement threshold? What does that show us? What I find remarkable about this image is that while we see the effect of decreases in detection when more and more citizen scientists have to agree on a pixel, the trends remain the same. 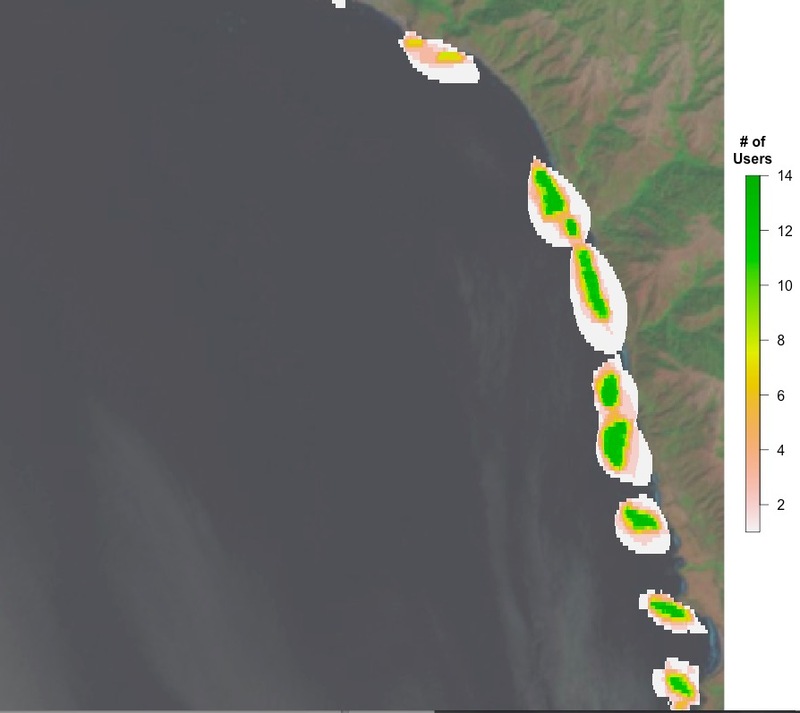 This means that while we will try to chose the best threshold that will give us the closest true estimate of kelp area, that there will be multiple intermediate thresholds that give us the same qualitative results to any future attempts at asking questions of this data set. This is a huge relief. 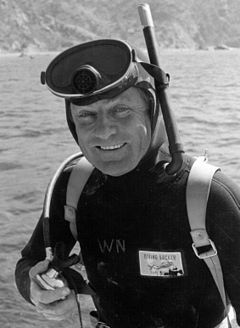 It means that, as long as we stay within a window where we are comfortable with consensus values, this data set is going to be able to tell us a lot about kelp around the world. It means that citizen science with consensus classifications is robust to even some of the choices we’re going to have to make as we move forward with this data. It means you all have done some amazing work here! And we can be incredibly confident in how it will help us learn more about the future of our world’s Floating Forests! In working on a recent submission for a renewal grant to the NASA Citizen Science program, I whipped up a quick script that takes the data posted and overlays it with the actual image. I really like the results, so here’s one. Feel free to grab the script, data, and play along at home! 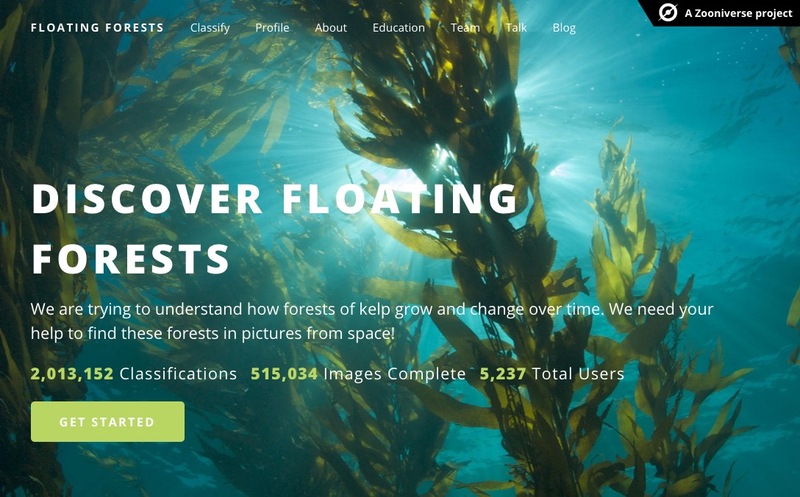 Data from Floating Forests for YOU! The day has come – we’re finalizing our data pipeline to return data to you, our citizen scientists! It’s been a twisty road, and we’re still tweaking, but we’ve begun to build some usable products for your delecation and exploration! You can do a lot with these in whatever GIS software is your preference, and if anyone has examples, we’d love to post them! For now, here’s a quick and dirty visualization of the whole shebang at the 6 users agreeing on a pixel per threshold (source. Neat, huh? 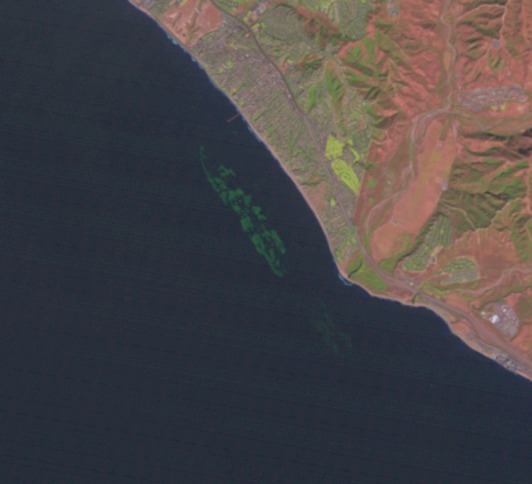 You can even see where something in one image was confusing (no kelp on land!) which now I’m *very* curious about. 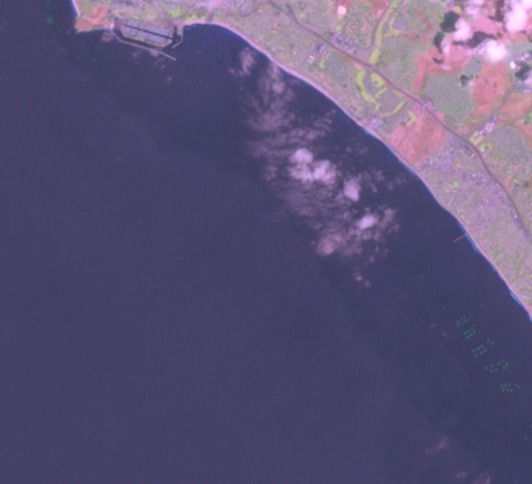 scene_timestamp – when was an image taken by the satellite? activated_at – when did we post this to Floating Forests? There’s a lot of other info regarding subject corner geospatial locations. We might or might not trim this out in future versions, although for now it helps us locate missing data and see what has actually been sampled. So, take a gander, enjoy, and if you have any comments, fire them off to us! This is just a sample, and there’s more to come!